The Soup Dragons were a Scottish alternative rock band of the late 1980s and early 1990s, named after a character in the 1970s children's TV show The Clangers. The band is best known in the UK for their cover of the Rolling Stones' "I'm Free" and in America for their Top 40 hit "Divine Thing". The Soup Dragons formed in Bellshill, Scotland a town very near to Glasgow (which would later spawn another popular band, Teenage Fanclub) in 1985. The Soup Dragons formed in Bellshill, Scotland a town very near to Glasgow (which would later spawn another popular band, Teenage Fanclub) in 1985. The line up was Sean Dickson (vocals, lead guitar), Jim McCulloch (guitar, second voice) and Sushil K. Dade (bass). The original drummer, Ross A. Sinclair, left the group after the first proper album, This Is Our Art, to pursue a career in art, and was replaced by Paul Quinn. Most of their songs were written by Dickson, while some were co-written Dickson/McCulloch. Originally lumped in with the C86 movement, along with fellow members of the Bellshill Sound, such as the BMX Bandits and Teenage Fanclub, they went through a number of stylistic changes in their career. Their debut was Buzzcocks-inspired pop-punk, and over the course of six singles (collected in 1987 on a US-only compilation, Hang Ten), they gradually developed a more complex rock guitar which culminated in their first album proper This Is Our Art. In the year following This Is Our Art their sound got heavier and heavier. 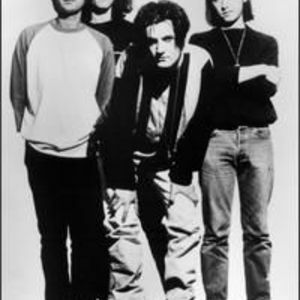 Suddenly they underwent a major change from an indie rock sound, to the rock-dance crossover baggy sound, popular at the time with the release of the album Lovegod. This change mirrored that of fellow Scottish band Primal Scream, and can be attributed to the rise of the ecstasy-fueled acid house rave scene in the UK. This led to accusations that they were jumping on the "baggy" bandwagon. However, in 1990, it produced their most notable hit single in the UK, "I'm Free", a cover of a Rolling Stones song. Subsequent albums continued the rock-dance crossover sound, as they concentrated on trying to break America, succeeding in 1992, when "Divine Thing" hit #35 on the American pop chart. But the band split in 1995. Paul Quinn joined fellow Bellshill band Teenage Fanclub. Sushil K. Dade formed the experimental post rock band Future Pilot AKA, and singer Sean Dickson formed The High Fidelity.